Devil sticks are believed to have originated in China in the distant past, in the form of simple wooden juggling sticks. Our devil stick range includes beginner to advanced products. We also stock replacement handsticks and bags. Made with Canadian Maple and decorated with UV coloured vinyl surface. Rubber fringes add weight and.. 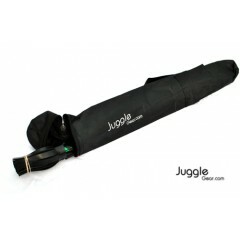 This bag has been designed specially to hold our devilsticks / flowersticks and hand sticks. There i..